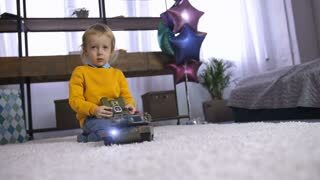 Search Results for "remote controlled"
Beautiful young blond woman in bright casual clothes standing comfortably at workbench with tools and instruments and using remote controller of radio-controlled toy car placed on desk nearby. CLOSE UP: Person holding a smartphone parks the remote controlled Tesla car. Moscow, Russia - July, 7, 2012: Moscow historical festival "Times and epoch" in Colomna. A remote controlled flying craft. Helicopter for aerial photo and video is taking off. A remotely controlled humanoid robot on wheels mingling among people. Robot disappointed it cannot have a pizza. While in Israel, it is controlled from Boston. Man is using a phone-controlled/remote-controlled drone. A remotely controlled humanoid robot on wheels wants to go outside and get some fresh air, but it is not equipped to open a door. While in Israel, it is controlled from Boston. A remotely controlled humanoid robot on wheels mingling among people. Robot disappointed it cannot have a beer. While in Israel, it is controlled from Boston. Remote controlled white drone DJI Phantom flying in the air. 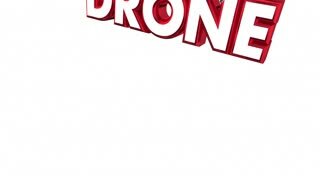 Remote controlled white drone DJI Phantom flying slow motion in the air. Camera gear convention showing a remote controlled camera dolly. A video of remote controlled sail boat competition. A man in a dark green shirt operates a remote controlled drone over an open field. Remote controlled car racing through the street form the perspective of the car. 1980s: Remote-controlled rover vehicle with large antennae and camera drives slowly over rocky and muddy terrain. Street, building, and people in background. 1980s: Remote-controlled rover vehicle with large antennae and camera drives slowly over large rock in sandy, desert terrain. Vehicle drives over dirt at night. 1966 - The development of the Ryan Firefish remote controlled sea done.